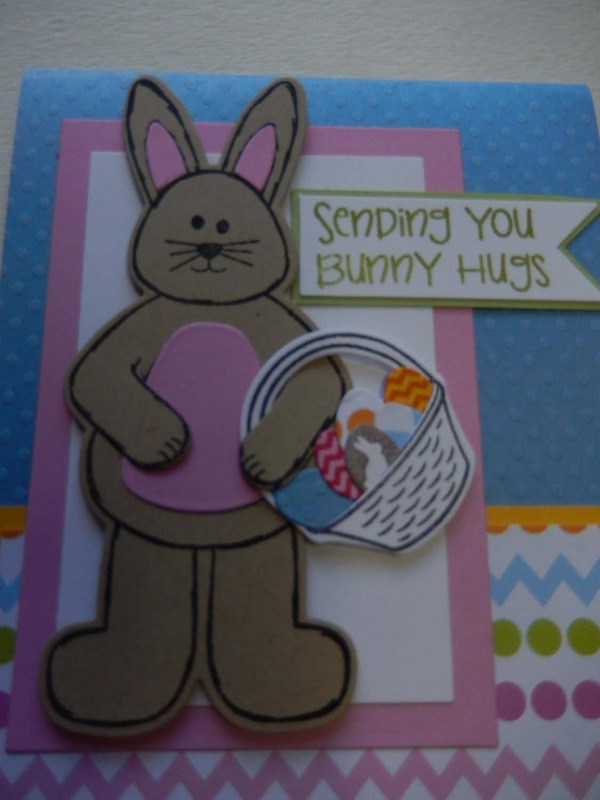 This cute Easter Bunny has a basket full of Easter eggs to give to that special person. 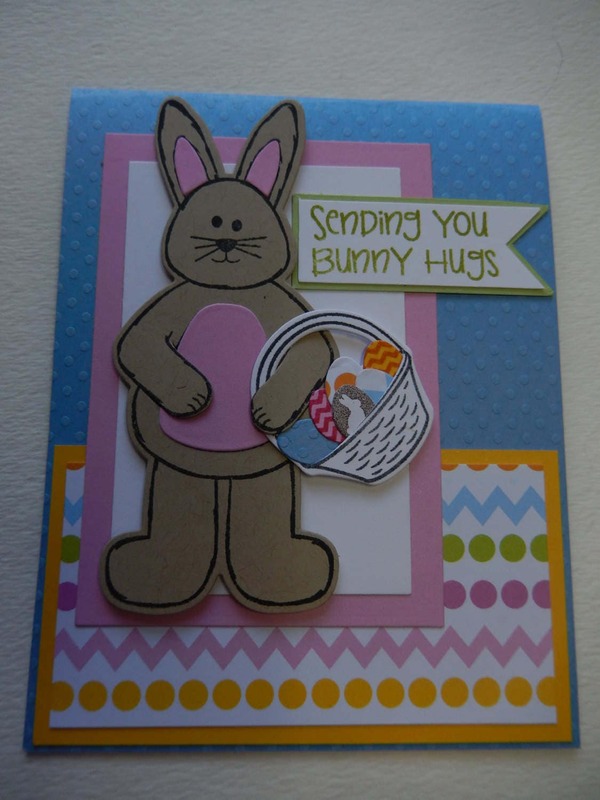 The bunny is stamped and then cut out with a coordinating die cut. Pink details are added to his ears and tummy. The basket is also stamped and cut out with a coordinating die. Small eggs are die cut out and layered in the basket. 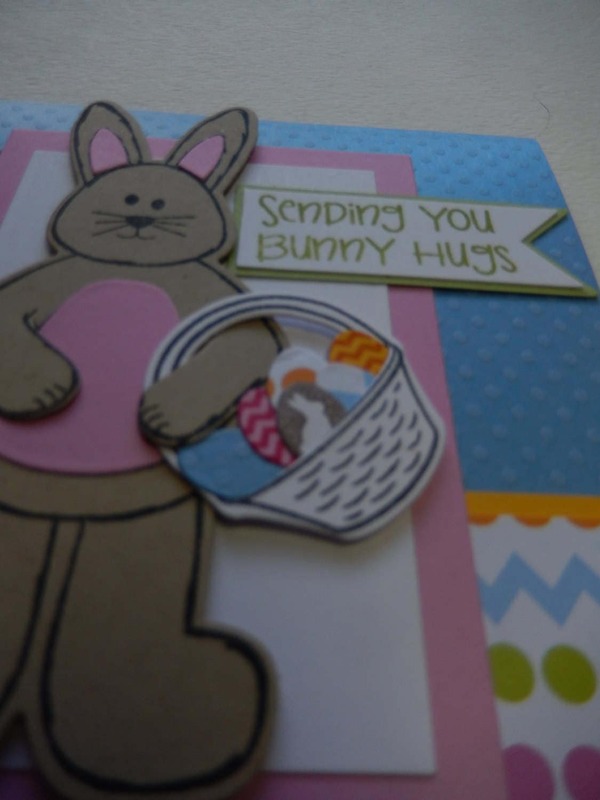 The basket is draped over the bunny's arm for a realistic look. The Easter bunny is adhered with pop dots for added dimension . A banner is added which reads "Sending You Bunny Hugs". The card is blank on the inside. It measures 4 1/4" x 5 1/2" and comes with a white envelope. It is shipped in a cellophane envelope and comes from a smoke free environment.